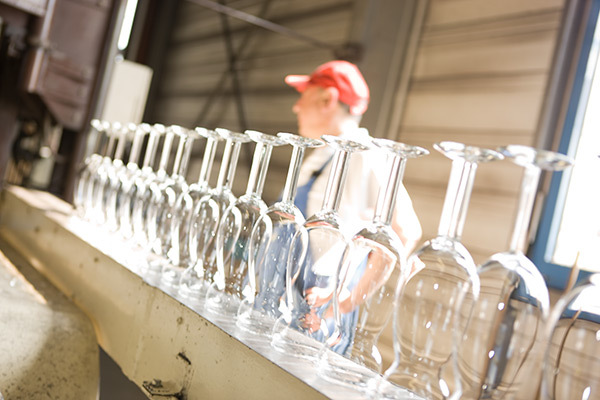 RITZENHOFF AG has progressed from the original traditional craftsman’s workshop to become one of Europe’s leading suppliers of drinking glasses. 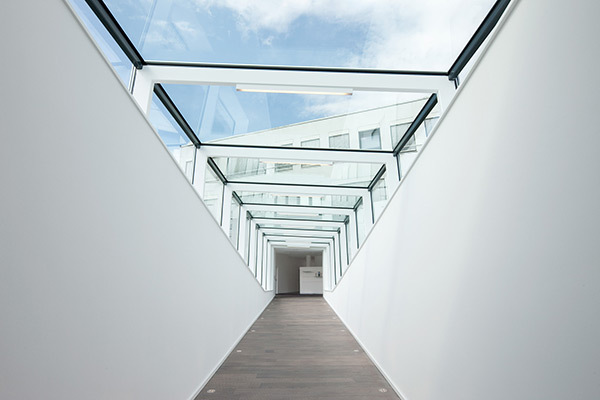 RITZENHOFF AG offers the entire range of glass manufacturing expertise – from design via production right down to decoration – all from a single source. 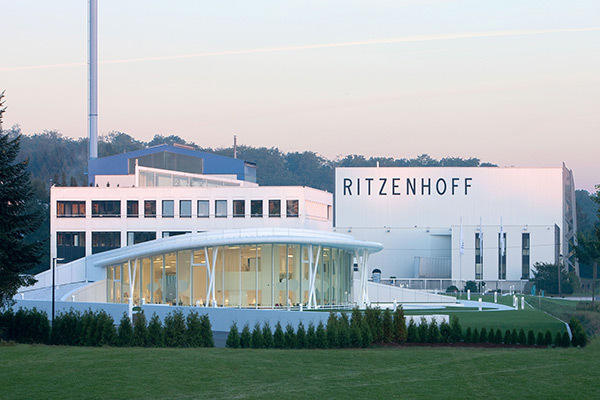 Three sections of the company, namely fully automated glass production, trade supply and design, and graphics services, offer RITZENHOFF AG customers and business partners a combination of design, decoration and glass production expertise and production depth that is rarely found anywhere else. 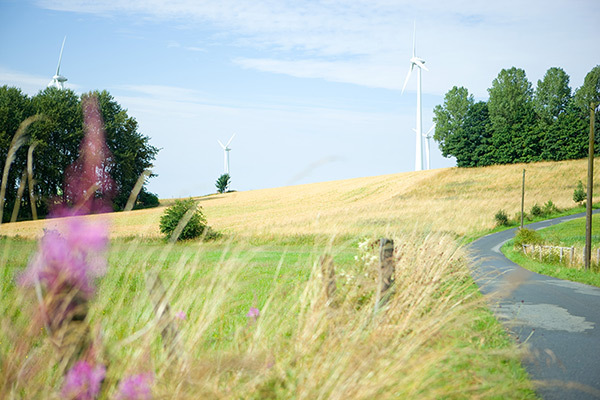 Staying close to the product and its production – that’s the secret of the flexibility and creativity with which RITZENHOFF AG delivers outstanding solutions that fulfil the most challenging requirements. Our customers appreciate the attitude expressed in our motto “There’s no such word as ‘can’t’”. 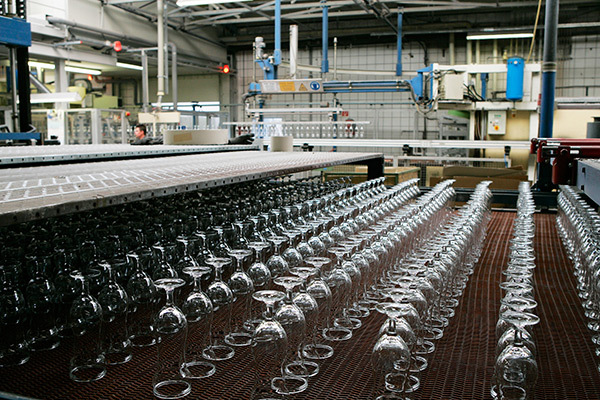 Modern industry needs reliable partners who can deliver special solutions fast; a classic example being the beverage industry, where exclusive brand glasses help to maintain high sales levels to catering trade clients. 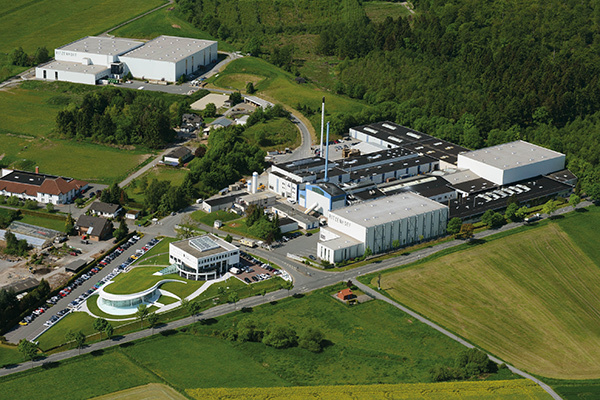 A family-owned firm, RITZENHOFF AG’s recipe for success is a simple one: the company from Germany’s Sauerland region supplies glasses in every imaginable shape and style, and is also a single-source supplier for the entire range of services – from drafting a design to manufacturing the finished product, right down to warehousing, distribution and delivery logistics. Now at its site in Essentho, the company is in a position to produce up to 50 million glasses every year on its four production lines. Development is a continuous process and a lot has been built and huge investments have been made in the site over the last few years – in 2008 the new logistics centre was opened with over 10,000m² of floorspace, thanks to an investment of 7 million euro. Over 16,000 pallet spaces not only provides ample storage capacity for the comprehensive collections, but also the highest levels of flexibility for processing dispatches. Furthermore, there are an additional 4,700 pallet spaces in the finished goods warehouse and 6,600 spaces in the raw glass storage centre. 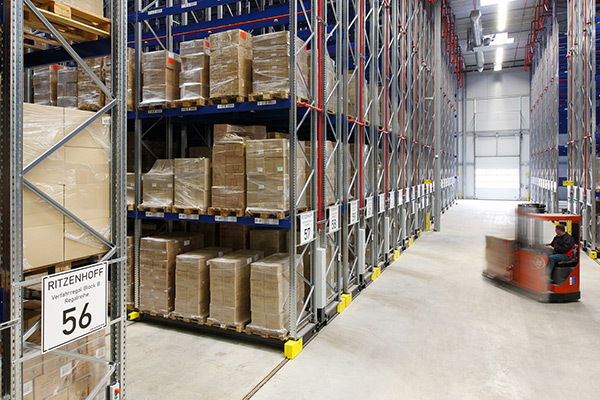 All warehouses are equipped with mobile shelving technology to make the most of the available warehouse space and to allow quick access to all pallets. 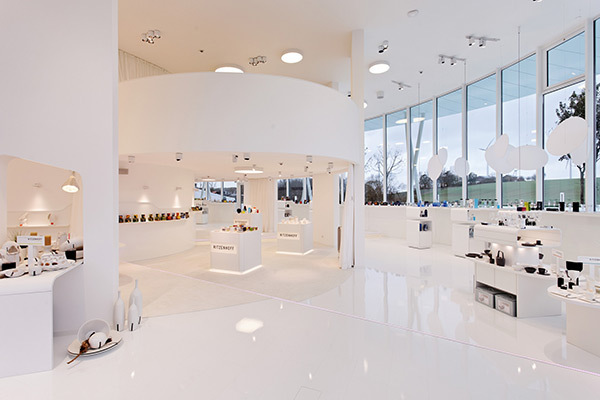 A new, futuristic-looking 700m² showroom was completed in 2012. 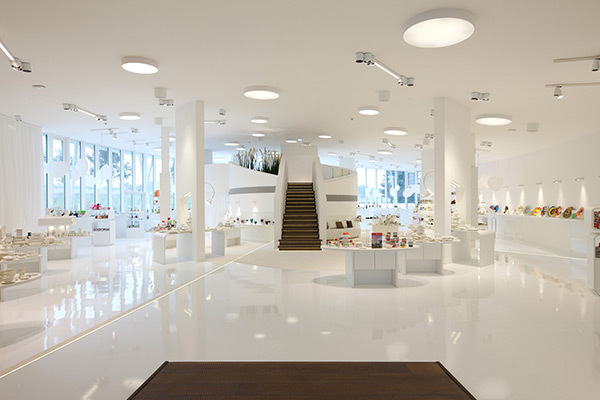 The showroom represents another milestone in the company’s overall concept. 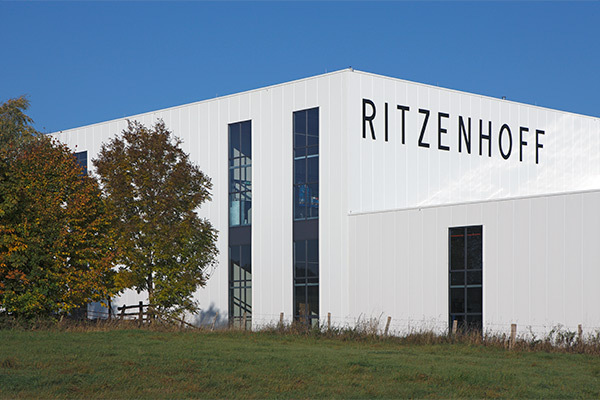 The RITZENHOFF design collection products are put on display, alongside exclusive glasses for the international beverage industry and Maxwell & Williams products, providing inspiration for specialist traders, breweries, international distribution partners and business partners from all other sectors of the company. 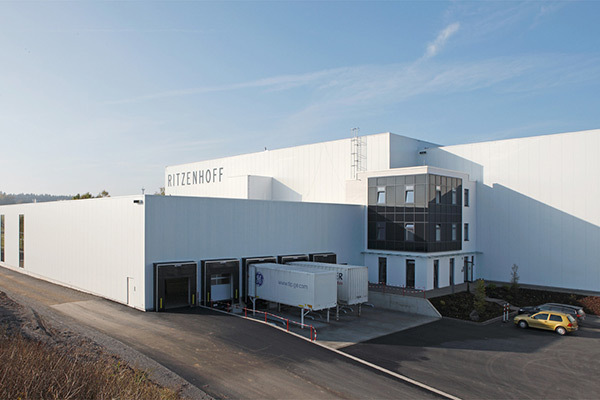 Today, RITZENHOFF AG is better prepared than ever before to handle to demands of the market and for future success. 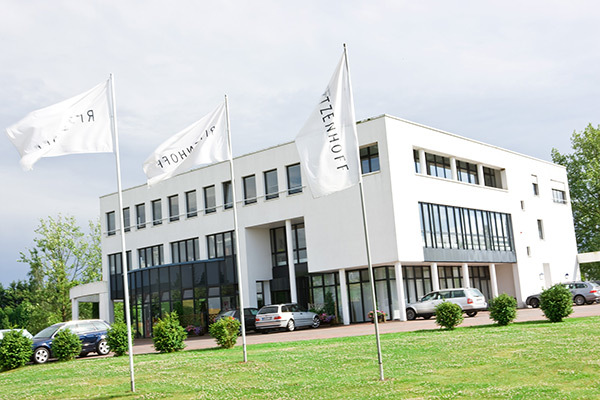 Good hospitality is one of the key underlying principles at RITZENHOFF AG. Business associates and friends of the company are always happy when business appointments take them to Marsberg Essentho and they can benefit from the legendary RITZENHOFF hospitality on offer at the so-called “Heidehaus” (Heath House). Marsberg is not exactly close to the Lüneburg Heath, which 200km further north, so why is it the Heath House? The story of the Heidehaus goes back to 1978 when Klaus Ritzenhoff fell in love with a 300 year-old farmhouse with integrated stables situated on the Lüneburg Heath and without further ado he decided to dismantle the house from its original location and rebuild it in Essentho. 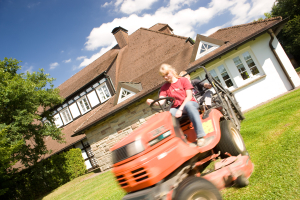 Klaus Ritzenhoff loved to build things and it was his dream to construct a small agricultural property on the factory premises owned by the RITZENHOFF family. The site was mostly made up of pastures, home to a 24-strong herd of cattle as well as goats, sheep and horses. All that was missing was a farmhouse where he could live with his family and where he could keep his collection of heirlooms and antique furniture. The Heidehaus was the perfect solution. 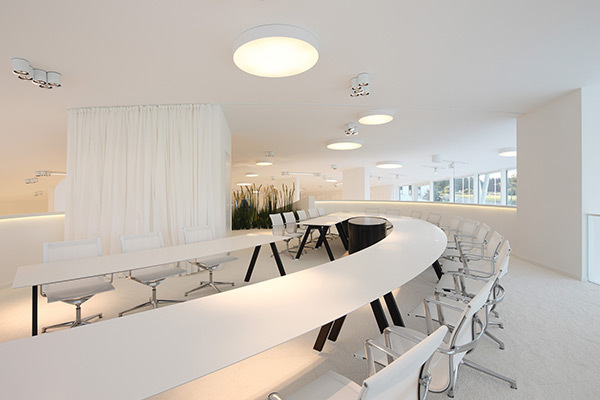 However, the dismantling process was anything but simple – every single beam had to be numbered individually and each piece had to painstakingly put back together in Essentho. For family reasons, shortly before the construction work was completed, Klaus decided not to move in to the house together with his family. Since there was practically no gastronomy to speak of in Marsberg, the Heidehaus was turned into a guesthouse where clients and business associates could be housed and entertained and this is still the case today. Over the years, the guesthouse has been modified and modernised several times, but one thing has remained the same – business deals are still made here, anniversaries are still celebrated here and company parties are still held here. Every guest values the personal atmosphere and the warm-hearted hospitality here in the RITZENHOFF house.